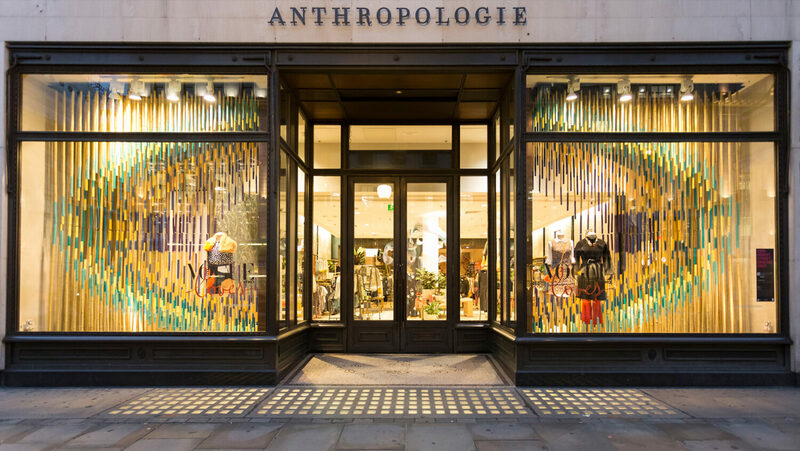 RIBA architects have partnered with some of the biggest names in fashion and retail to create engaging architectural installations in shop windows along Regent Street. Anthropologie is dedicated to hand-making and craft, recycling and rearranging materials to form captivating displays. Inspired by this approach, EPR Architects with Vertikal Space and the Materials Council have explored the leftover space from ‘scooping out’ bamboo to create a dynamic, engaging installation that references the brand’s seasonal range. The painted tips of the bamboo canes accentuate the form and change depending on whether it is viewed walking past, from a distance or up-close. The 13 participating architects will have their work on display until Sunday, 27 September, creating a public architecture exhibition seen by more than one million people each week.